Despite the recent news on the seriousness of flood surrounding Bangkok, we were lucky that Krabi was not being affected. 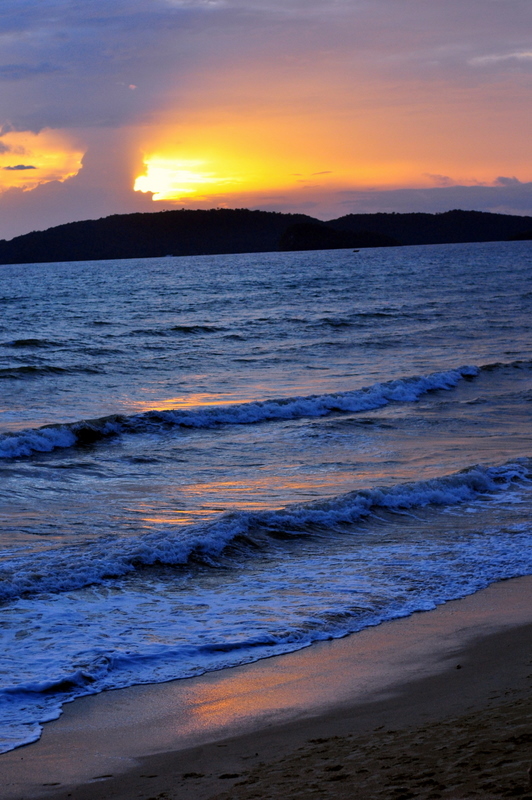 This is our first trip to Thailand, and we started off with the more quiet ambience of Krabi. We took a shuttle bus from the Krabi Airport to Ao Nang beach for 150 Bhat per person. The driver asked for our hotel name and claimed that he will fetch us till the doorstep. However, we were surprised that we and another couple traveller were being dropped off at a tour agency named Krabi Somporn Travel & Service before we even reach Ao Nang beach. We were greeted by a friendly salesman trying to sell us their tour package. I'm starting to wonder that if we didn't purchase any from them, will they still send us back to our hotel. Finally, after much bargaining, we settled for 110 Bhatt for Phi Phi Island Tour per pax and 110 Bhatt for Elephant Trekking + Tiger Cave Temple tour per pax. After payments were made, we were driven to the hotel by a taxi driver named. Mr. Sak Sringam, who offered us 400 Bhatt for a trip back to the airport on our return day. 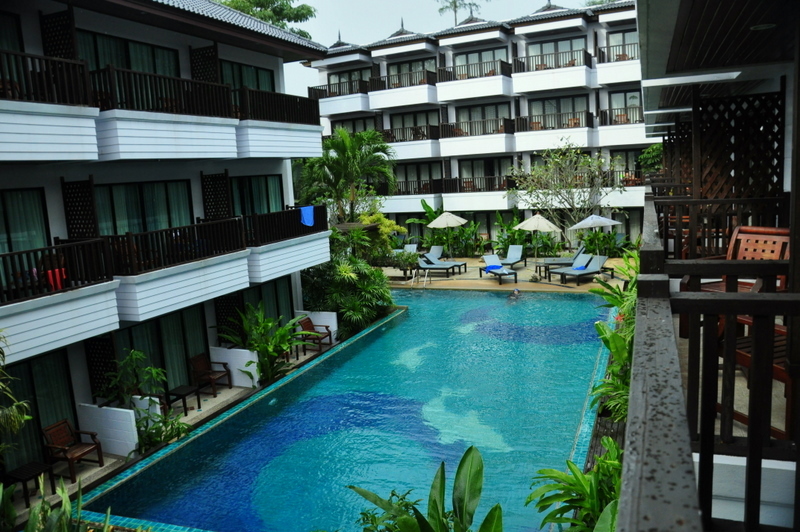 The hotel we booked from Agoda.com is the Ao Nang Buri Resort, which is situated along Ao Nang Beach. 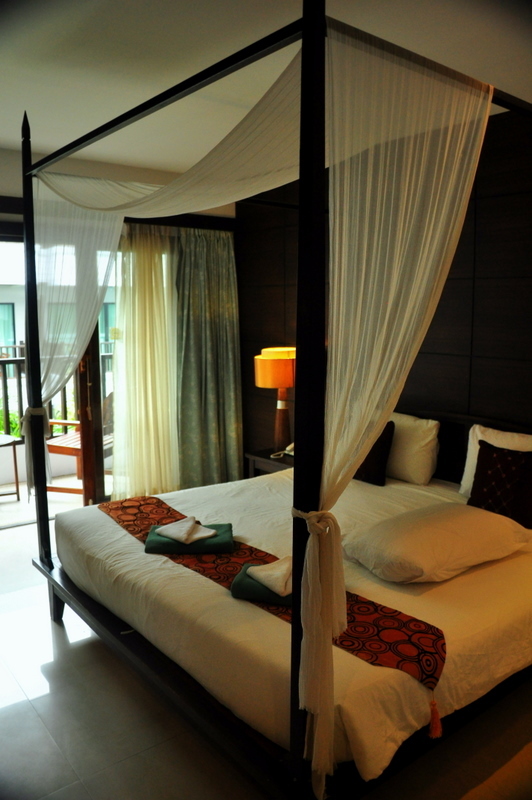 But the hotel location is 10 minutes walk away from the busy Ao Nang street market, which provide us a peaceful and serene evening. After exploring the hotel facilities, which isn't much apart from the pool, we headed out to explore the Ao Nang beach and its streets. We first came across the Wangsai Seafood Restaurant by the seaside. 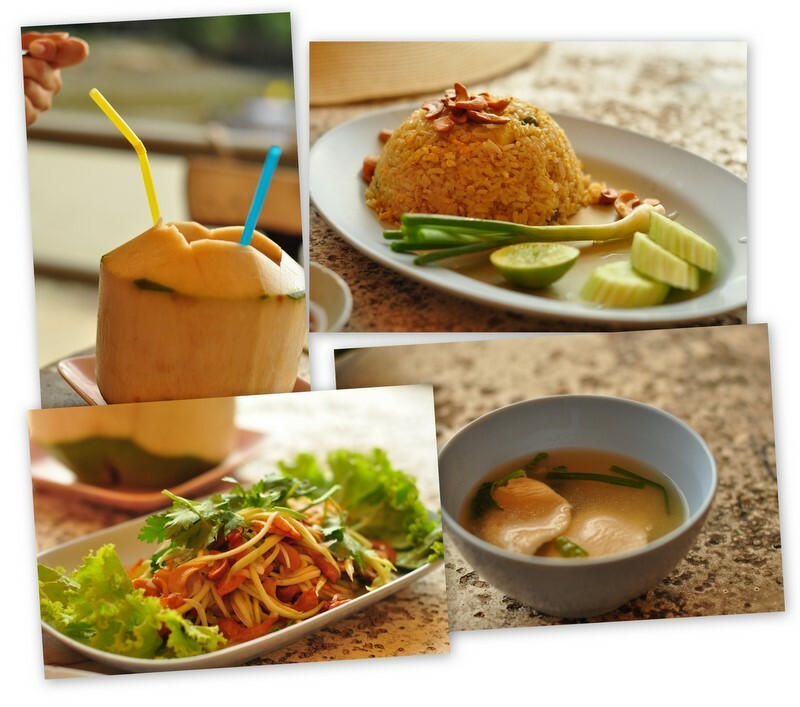 We ordered Pineapple Fried Rice, Thai Soup, Mango Salad and a coconut for our early dinner. Their clear Thai Soup is just too sour for our taste. Total cost 400 Bhatt. There are endless shops selling graphic T-shirts and also hawker stall selling variety of pancake. We tried the famous banana pancake that came highly recommended by our friend for 40 Bhatt. 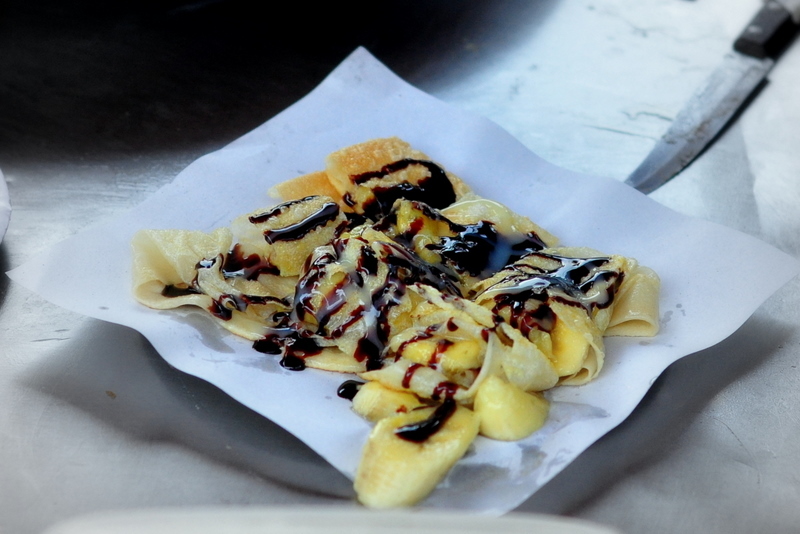 It resembles Roti Banana in Malaysia, but with a more crispy skin and much tastier due to the chocolate fudge. Later on, we came across any hawker stall that only sell it at 20 Bhatt. We will remember to buy another from this stall tomorrow. I then started my scouting spree for best prices for souvenir to buy for my family. The first item I bought is a 'I LOVE Krabi' T-shirt for my sister for 150 Bhatt. Meanwhile, we caught the sunset by the Ao Nang beach and decided to make a pit stop sitting by the beach and enjoy the scenery. Read more on Krabi Trip : Day 2 Phi Phi Island Tour.